Choosing the right waterproof backpack isn't as easy at it might seem. There are quite a few models to choose between - and many of them are not 100% waterproof even if they are described as waterproof by the brands! So if you need a waterproof backpack, you need to take care and make sure you choose a backpack that really is waterproof and not just water resistant. You also need to make sure the backpack matches your needs, so it will have room for all your stuff without being too big and heavy. Having checked thousands of waterproof backpack reviews, we can say that the Aqua Quest Himal is the best choice for most people. The Aqua Quest Himal got a rating of 4.25 out of 5, while the average rating in the list below is just 3.96. This is the best reviewed waterproof backpack. We have checked 20,498 waterproof backpack reviews, so we can show you the weighted average rating of all the bags. If the Aqua Quest Himal isn't your style, you might also consider the Aqua Quest Stylin. The Stylin is a close runner-up with a rating of 4.20 out of 5 - and it's usually cheaper than the Himal. The second-best reviewed waterproof backpack. Finally, you might consider the The North Face Homestead. The Homestead is the third-best rated waterproof backpack with a rating of 4.17. The third-best reviewed waterproof backpack. Below is the list of all top 15 best waterproof backpacks. Great if none of the three bags above are your style. PS: We have checked 20,498 reviews to make this top 15 list! Whether you are a hiker or a commuter, there is a good chance that you need a waterproof backpack. That is, of course, if you want a pack that can be used in all conditions. Most people looking for this type of pack have either been led astray or been severely disappointed. This is why we created this guide to make sure that you are getting exactly what you paid for. In this article, we look at what the different terms mean, the materials that are used, and any other features that you need to know about. By the end of it, you will definitely be able to pick out your own waterproof backpack. Water resistant backpacks can be considered the first level of protection against water. Most backpacks are actually water resistant as opposed to anything else. What this means is that your backpack will be able to prevent the water from seeping through, but only for a little while. Eventually, the water will enter the backpack. These type of backpacks are usually best for light rain showers and when the pack won’t be exposed to water for too long. Water repellent backpacks are the next tier. What sets water repellent packs apart from water resistant ones are the coatings. Water repellent bags are made from materials that will keep water out. On top of this, however, there are coatings and laminates that further improves the bag’s imperviousness to water. This is why water repellent packs are better suited to longer journeys where the backpack may need to withstand greater amounts of water. Finally, there are waterproof backpacks. These packs are those that can be submerged in water for short periods of time and still not take on water. Waterproof packs can be kept out in the pouring rain and still not let any water in. The materials used as well as the overall construction of the pack makes it fully protected against water. These type of bags are also airtight. The materials that are used largely depend on the manufacturer. At the same time, the level of waterproof-ness that wants to be achieved will also determine the materials that are utilized. With water resistant backpacks, the materials most commonly opted for are incredibly strong polyester or nylon. The weight and the weave of the nylon will define just how water resistant a backpack is. Polyester, on the other hand, has hydrophobic fibers which keep water away for a while. Water repellent backpacks are often made of the same materials as water resistant backpacks. This means that they will either be made from polyester or nylon. The difference here is that there is an additional layer of protection provided. The most common synthetic material used to coat the backpack is polyurethane. While the laminate can wear away over time, it will allow the backpack to repel water until then. The most commonly used material for waterproof packs is tarpaulin, also known as tarp. However, there are several types of tarp and not all of them are waterproof. Look for poly (or polyethylene) tarp or vinyl tarp as these are fully impervious to water. These materials keep water out as the holes in the fabric are so tiny that water molecules can’t enter in. Of course, there are other materials that can be used. That being said, they need to stand up to certain standards to be considered waterproof. All fabrics and materials have some sort of membrane but in the case of waterproof materials, the membrane needs to be able to stand up to a considerable water pressure. If a material can withstand at least 7000 millimeters of cylindrical water pressure, it can be identified as being waterproof. It should be noted that just because a backpack is made from waterproof materials, it doesn’t mean that the pack itself is waterproof. For a backpack to be considered truly waterproof it needs to be built to keep any and all water out. The fabric is only part of the equation. The seams, zippers, and other features must also be able to prevent water from entering a backpack. Stitching alone cannot be used for waterproof packs. This is because the holes created by the stitches can let water in. There are some manufacturers that use the stitching to hold the seams together. Additionally, they place a layer of silicone or other impervious material on the inside of the backpack, where the stitches are to create a waterproof seam. While this is effective, there is a chance for the silicone or other material to wear away over time, thus causing the backpack to lose its waterproof capabilities. One of the best ways to keep the seams sealed is by using welded seams. Here, heat is used to bond the panels of material together. Since there are no holes or openings created in such a process, there is no space for the water to get through. The welding is permanent so there is no fear of the bonding wearing away. Typically, the most waterproof backpacks are those that have a roll top backpacks. These packs have no other type of opening or zippers. The opening is at the top of the bag and is usually rather wide. To close the bag, the top of the pack must be pressed together and then rolled down several times. This creates a waterproof layer which is then secured with some form of fastening. This is a good design for you if you want to make sure that your pack will not take on any water, even if it is submerged. One of the downsides of zippers on backpacks is that they can provide spaces for the water to flow through. At the same time, they are easy to use and an important aspect of any backpack. This is why when zippers are added to waterproof backpacks, they need to be sealed. Here, a thin, waterproof material is attached to the underside of the zipper. This effectively creates a watertight seal, preventing water from coming through. The actual technique used for each waterproof zipper differs from manufacturer to manufacturer. Buoyancy: waterproof backpacks that are actually airtight will float when dropped into water. Now, this is not something that every person needs. However, if you are going kayaking or scuba diving, having a bag that will float in the water could prove to be useful. This is particularly true if you are worried about your backpack falling overboard into deep waters. Waterproof interior sleeves or compartments: the whole point of having a waterproof backpack is so that the water will not get in and damage your belongings. However, if you are carrying expensive or important electronics, then you may want an additional level of protection. In these instances, look for internal sleeves or compartments that are not only padded but are also waterproof. Durability: if you want to explore some pretty rough terrain, then you will need a backpack that is waterproof as well strong. In these instances, you should look for packs that are made from coated rip stop nylon. It is a lot more difficult to find tears or holes in bags such as these. With most products, it is normal to see an IP rating or some other form of evidence that it has passed waterproof testing. It is quite difficult to see such ratings or accreditations on waterproof backpacks. This is because the testing procedures can be quite pricey and it is not always available to many backpack manufacturers. This is why, when getting a waterproof backpack you have to trust the backpack or rely on the reviews provided by others. Of course, once you have bought such a pack, you can always test it at home. For instance, hosing down the backpack with quite a bit of force can stimulate rain, waterfalls or other watery conditions. Place a dry cloth in the bag before you start your experiment. Once the pack has been thoroughly immersed in water wait a while before opening it up and taking the cloth out. If the cloth is dry, it is a good indication of how waterproof the bag actually is. This is everything that you need to be aware of if you hope to find a backpack that is completely waterproof. 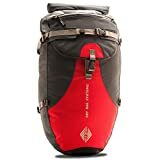 Classic waterproof backpacks and models that haven't yet got enough reviews to be ranked. List ID 10. Images from Amazon Product Advertising API and shop datafeeds.